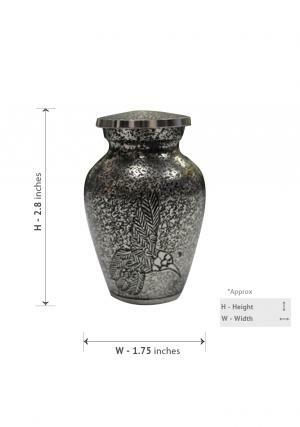 Product Details of Harlow Black Flying Bird Cremation Keepsake Urn for Funeral Ashes, Small Brass Cremation Urn. 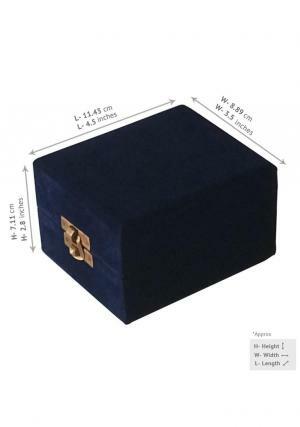 The Harlow black flying bird keepsake memorial mini urn made with solid & quality brass. 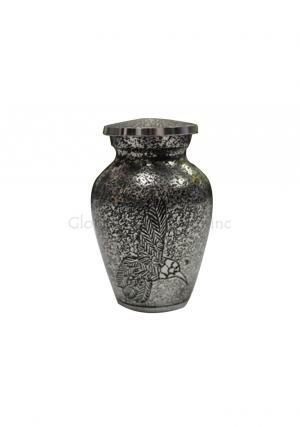 This cremation urn is handcrafted by our skilled professionals. 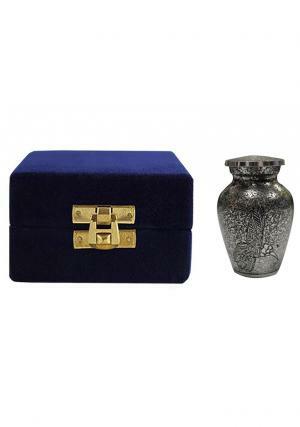 The keepsake memorial urn is used to store the cremated ashes of your loved one, and can be used as home decor. You can keep this personalized urn in velvet box secretly. A secure threaded lid places the ashes safely in the urn.